Sony and Warner Bros. have made some changes to their film calendars. As reported by Deadline, Sony has shifted the release date for The Equalizer 2 from August 3 to July 20. Antoine Fuqua directs the sequel pic, which stars Denzel Washington as Robert McCall, a retired CIA black ops operative. The first film followed McCall as he returned to his old life of violence after meeting and befriending Alina, a teenaged prostitute who worked for the Russian Mafia, portrayed by Chloë Grace Moretz. This marks the third time that The Equalizer 2 has been moved, having previously been set for an August 10 opening and a September 14 debut prior to that. The film will now go up against Mamma Mia! Here We Go Again at the box office, but given the demographic for the two pics are completely different, it likely won't lose too many viewers to the musical comedy. However, STXfilms announced that Mark Wahlberg's upcoming action film Mile 22 will launch on July 20 as well, so The Equalizer 2 may have some stiff competition come summer. On Warner Bros.' end, the studio proved how much it adores The Nun, moving it to its prime post-Labor Day weekend premiere window (via Deadline). The Conjuring spinoff will now open on September 7, back a few weeks from its previously confirmed July 13 release date. It's worth mentioning that although studio New Line Cinema had initially stamped The Nun with an mid-July debut, it had also secretly reserved the September 7 window for an untitled horror film. This proves that New Line penciled in one date publicly, but had quietly booked its intended launch day to the release schedule. Twentieth Century Fox did the same with Alita: Battle Angel, first announcing it for release on July 20 (how ironic!) and then switching it to December 21, just in time for the holidays. 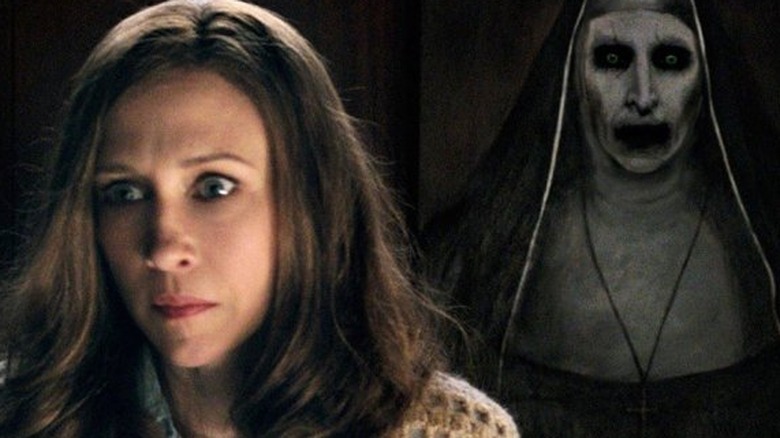 Directed by Corin Hardy from a screenplay by It writer Gary Dauberman, a story he co-wrote with The Conjuring franchise luminary James Wan, The Nun features Taissa Farmiga as Sister Irene and Demian Bichir as Father Burke, who is sent overseas to Rome to investigate the death of a nun.